Alexander Arnold is best known for playing Rich Hardbeck in E4 series Skins, as well as Adam in BBC’s What Remains and Jim Carter in Poldark. He has also made appearances in programmes such as In the Flesh, Vera and Death in Paradise. 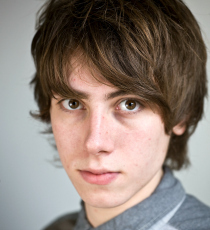 Alexander’s stage credits include Crushed Shells and Mud (Southwark Playhouse) and Luna Gale (Hampstead Theatre). He recently played Pog in David Brent: Life on the Road & appears as Luke in the TV Series, Save Me.